Defending Rally America National Champion David Higgins will begin his title defense this weekend on the challenging snow and ice covered roads of the Sno*Drift Rally, round one of the 2013 Rally America National Championship. Higgins will fight for his third-straight Rally America Title in his Vermont SportsCar prepared 2012 Subaru WRX STI rally car with his trusted co-driver Craig Drew at his side. 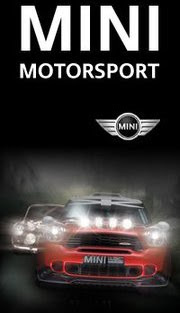 The title fight begins at the legendary Sno*Drift Rally, now in its 47th year, Jan. 25 - 26 in Atlanta and Lewiston, MI. The challenge of racing on the icy Northern Michigan roads that compose the Sno*Drift Rally are compounded by rules which prohibit studded or spiked competition ice tires, meaning traction is fleeting and driving skill and patience truly shine. Besides sleek updated graphics on Higgins’ 2012 Subaru STI much of what earned Higgins the 2012 Rally America Driver’s Championship is in place yet again for the Champion. Higgins is also brimming with confidence after an active “off-season” which saw him competing as a guest driver with Subaru Rally Team China at a few rounds of the hotly contested Chinese Rally Championship, where Higgins won two events outright. 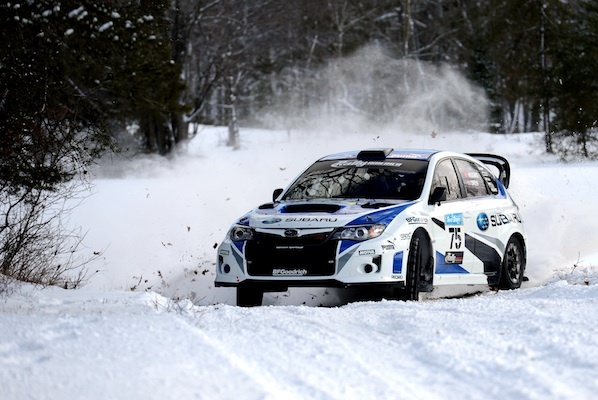 Added James Han, motorsports marketing manager for Subaru of America, Inc., “Sno*Drift [Rally] is a challenging event as it traditionally features snow and slick ice, conditions unique to the other rounds in the championship.